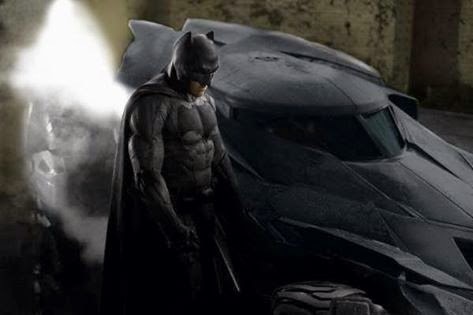 After a good 30 days or more delay from what we were originally promised, we finally get the first look at not only Ben Affleck's version of Batman, but his Batmobile too. 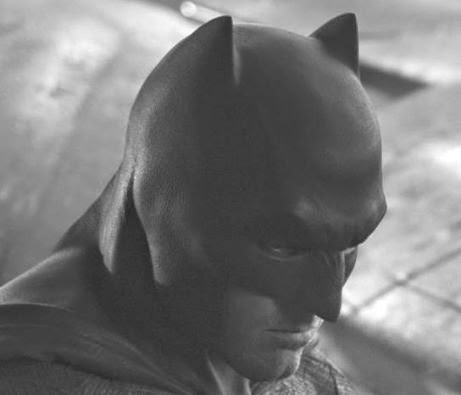 Bat-Fans have been waiting with many a sweaty brow for what Ben would look like in the new Bat Suit and this Bat-Fan for one is pleased. Not only with the suit, but the Keaton/Bale combo Batmobile as well. BTW. If Batman can return, so can I.
I know. I've been going through some stuff, which for me has felt like Bruce Wayne in The Dark Knight Rises or Tony Stark in Iron Man 3. You should start seeing more of me. Glad to see you back, and I for one am impressed by the Batsuit! If they didn't take so long to finally show us the goods this wouldn't have happened. ;) Thank you. It's good to be back. I am happy about both the suit and Batmobile. Welcome back John. I was wondering if we would see another blog post and was about to reach out to you. Glad to see that Batfleck brought you back. I for one love the new costume. It may not be the blue and grey I was asking for, but at least it's not all black like it's been since 1989. Thank you Mike. Well, there has only been a black and white picture released so far. So, technically we don't know the color scheme for sure yet. Stay tuned.